The construction of a state-of-the-art education facility is providing Indigenous Territorians with a solid start to a career in the construction industry. 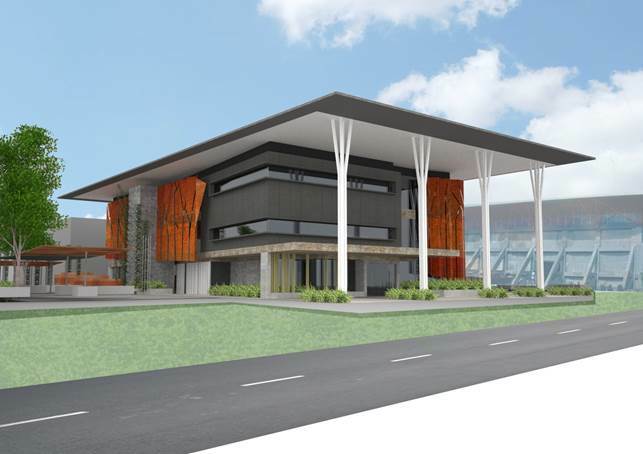 Local Territory company, Probuild, won the contract to build the $12.9 million Northern Territory Open Education Centre (NTOEC) on the grounds of Darwin High School. Twenty-two Indigenous employees will work on the project including 14 who are completing a Certificate II in Construction. The NTOEC is a senior secondary distance education school catering for Years 10 to 12, providing flexible distance study options to over 600 students across the Northern Territory. It will accommodate 60 staff and provide a high quality education program covering the full NT Certificate of Education. The new building replaces the old facility at Rapid Creek. With construction nearing completion, the purpose-built campus will be ready in July 2016.